Lost Data? Don’t Panic! 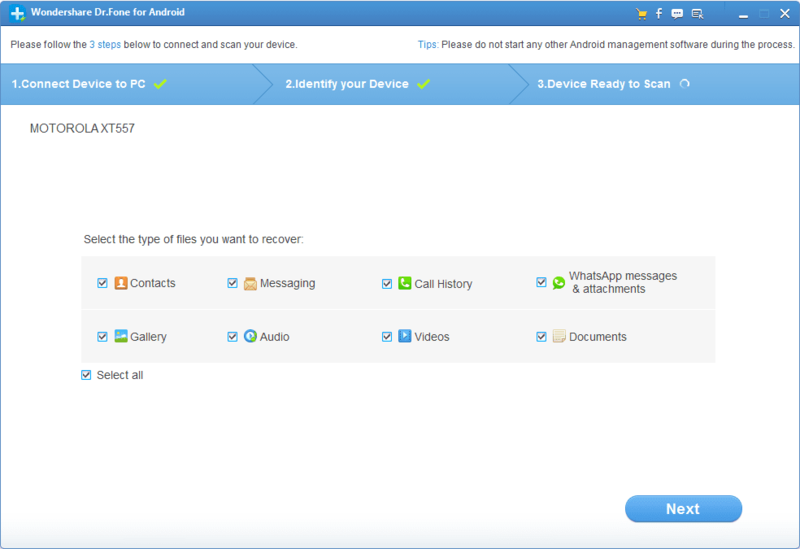 Dr.Fone for Android recovers messages, photos, contacts, videos, audio, call history and documents from your Android device. 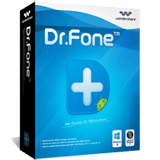 Dr.Fone for Android can restore all your most important data, whether your files were accidentally deleted, or your OS was corrupted through a software update or ROM flashing. 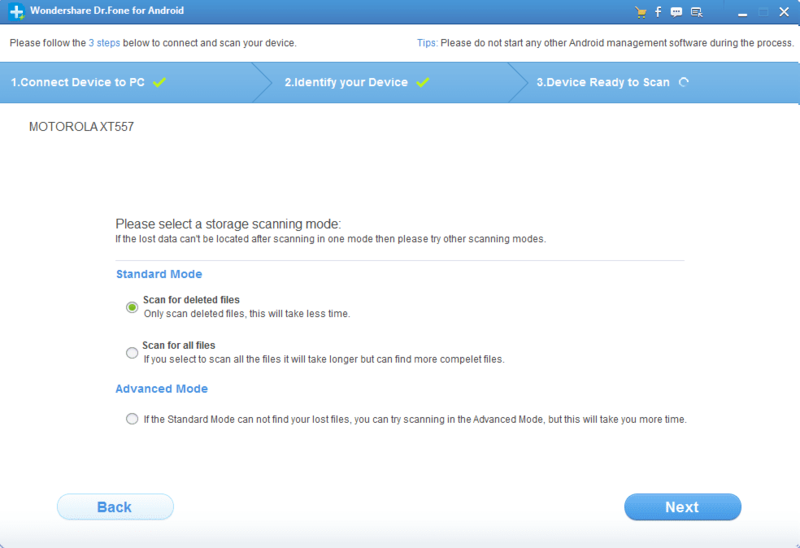 The software supports Android OS versions through Android 6.0 Marshmallow, and over 2000 Android devices including models from Samsung, HTC, LG, Sony, Motorola, ZET, Huawei, and more. 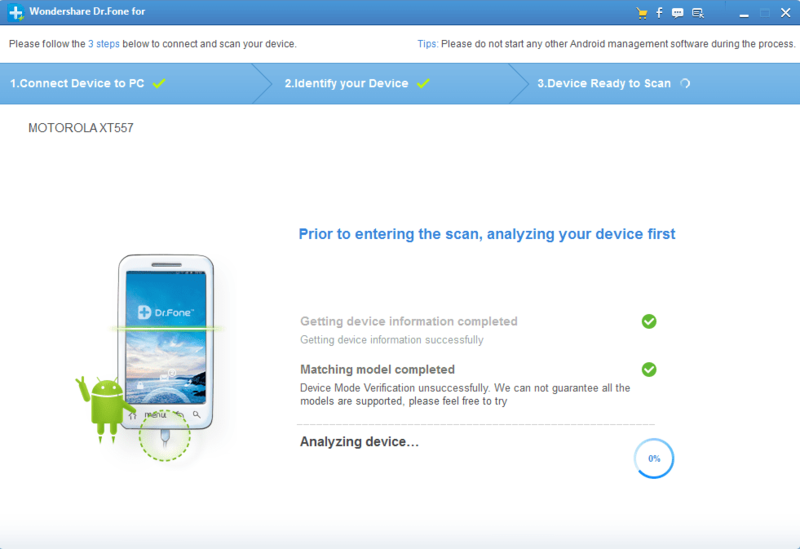 Using a simple 3-step process, it’s as easy as connecting your device, scanning its contents, and recovering your data. The personal use lifetime license allows use on up to 5 phones on one computer for only $49.95.